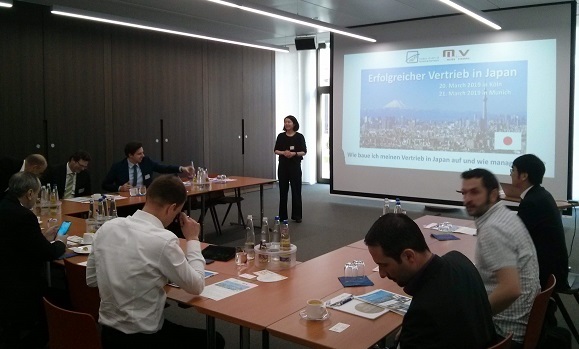 Fenetre Partners organized the events “Distribution Channel Strategy in Japan” in Germany on March 20th and 21st, 2019. This roadshow was arranged by M+V, our strategic German local partner. We accommodated over 30 participants in Cologne & Munich. The seminar was designed to give an audience deep insights of how to develop and manage distribution channel in Japan. Our speakers, Mr. Satoshi Takayama and Mr. Yasushi Hasegawa organized case discussions of 5 real cases of distribution issues in Japan in an interactive way and suggested 5 strategic options for how to develop, manage and revitalize distribution channel in Japan. Our roadshow was successful and had very positive feedback from the participants. We plan to have the next events in Europe with the same topic early in July 2019.